There is a connection between the story of Umm Haram and Umm Sulaym because they were sisters, brought together by their Islaam and Eemaan, as well as their love for Allah and His Messenger (peace be upon him). Their life after Islaam is a testimony to this fact and proves their selfless sacrifice in the way of their love for Islaam. Furthermore, they were among the most prominent women of Madeenah in terms of virtue and piety. Their house, which is referred to as being “Milhan’s house”, was one of the dearest houses to the Prophet (peace be upon him). We have already seen this in the biography of Umm Sulaym and how it was highly respected by the Noble Messenger (peace be upon him) as well as the Companions. This was due to many reasons, such as the fact that she gave her son in service to the Prophet (peace be upon him) and her participation in the battlefields of Jihaad. We also looked at the life Umm al-Fadhl, the mother of ‘Abdullah ibn ‘Abbaas and her services towards the Noble family of the Messenger of Allah (peace be upon him). Now we will inshaa'Allah study the life of Umm Haram. Allah Willing, we will realise that like her sister, she too was very active in her service of Islaam. Umm Haram (may Allah be pleased with her) was married to the great companion ‘Ubaadah ibn as-Saamit (may Allah be pleased with him). ‘Ubaadah was one of the first Ansari men to participate in the Pledge of ‘Aqabah. He was one of the chiefs of his clan and he was one of those who took part in the Battle of Badr. Such was his love for Islaam that he never failed to attend any battle or campaign with the Messenger of Allah (peace be upon him). He was also one of the shining heroes in the battle of Apostasy and later fell a martyr in the Battle of Yarmook. ‘Ubadah was the first teacher and judge in Palestine; a position Umar ibn al-Khattab (may Allah be pleased with her) had wisely appointed him to. He witnessed the conquest of Egypt and was the leader of one quarter of the contingent. His first marine war was in order to conquer Cyprus. It was in this war that Umm Haram participated. Inshaa’Allah, we will mention how she participated in this war in a little while. Before we mention Umm Haram’s (may Allah be pleased with her) participation in Jihaad, I would like to give you a brief glimpse of her personality and her role around the Messenger of Allah (peace be upon him). The family house of Milhan was in Quba. They lived among palm dates and plantations, springs of palatable water and pleasant breezes and lived an honourable life and upright life. When the Prophet (peace be upon him) arrived in Qubaa from Makkah, people were competing with one another to host the the Messenger of Allah (peace be upon him) in their homes. He stayed for some days in the dwellings of Banu ‘Amr ibn ‘Awf while his mosque, the first mosque in Islaam was being built. Quba was therefore the first place the Messenger of Allah (peace be upon him) halted at when he was travelling towards Madeenah as an emigrant. Therefore, he had an attachment to this place and while living in Madeenah would visit it every now and then. Whenever the Messenger of Allah visited Quba, he would visit the houses of his companions and take a siesta there. He would hold discussions with them and teach them. All of them would rush to serve him and present different types of food and sweet to him. Milhan’s house, which was the house of Umm Sulaym and Umm Haram, was a familiar house to the Prophet (peace be upon him) in this regard. We have already mentioned that whenever he would be asked about his frequent visits to their house he would respond by stating that he did so as a consolation for the family, and would add, “Their brother was killed while fighting on my side.” It was therefore out of a sense of obligation by the Prophet (peace be upon him) that these visits were made. Here, I feel it is necessary to mention the how their brother Haram ibn Milhan (may Allah be pleased with him) was martyred. This is because from this event we can come to see the high level of eemaan the members of this household possessed. This is why it is not strange that the Messenger of Allah (peace be upon him) was the first person to visit their household, acknowledge its right, appreciate its virtue and console its inhabitants. After this many years passed and Umm Haram continued to wait, knowing full well that the Messenger of Allah (peace be upon him) never lied. Umm Haram accompanied her husband Ubadah ibn as-Samit - the great companion and the knowledgeable Mujaahid -wherever he went. Especially since he had joined the Syrian army under the command of Abu ‘Ubaydah and ‘Amar ibn Abdullah ibn al-Jarrah, ‘Ubadah took part prominently in all the battles until the Muslims conquered the entire Syrian territories. Then a request came to Umar ibn al-Khattab (may Allah be pleased with him) from the people of Palestine. They need a scholar who could teach them the matters of their religion and a judge who could arbitrate between them and settle their disputes. In order to demonstrate his confidence in ‘Ubaadah and show his recognition of his virtues, knowledge and status, ‘Umar appointed him as the teacher and judge for the Palestinians. ‘Ubadah and his wife Umm Haram then began living in Palestine. ‘Ubadah discharged his duties in the best manner, which made him a popular and well-known Sahaabi. The people highly respected his views and his decision-making. Throughout this period, Umm Haram was a righteous wife to a righteous husband. She was never moved by the position of her husband neither was she deluded by this world and its beauties. Rather, she remained as she was when she came out of her humble home in Quba. Oftentimes, she would remember the dream that the Prophet (peace be upon him) had had when taking a siesta in her home and his supplication for her to be one of the first ones to ride over the green sea, fighting in the way of Allah and holding-high the banner of Islaam. She would deeply reflect, imagine and anticipate the coming of that momentous day. She would then snap-back to reality, waiting for Allah’s decree and the actualisation of Prophet’s (peace be upon him) prophecy. ‘Amr ibn al-‘Aas left Palestine to conquer Egypt as the presence of the Romans there was becoming a great threat to the Muslims in Syria. He consulted the leader of the faithful ‘Umar ibn al-Khattab and the latter issued his consent. ‘Amr went deep into the land of Egypt and fought the Roman army in a number of wars and defeated them. When he came to the Babylon fortress in old Egypt, he laid siege on it and the siege lasted for a long time. At one point, ‘Amr (may Allah be pleased with him) had to request the leader of the faithful, ‘Umar (may Allah be pleased with him) for reinforcements. An army was sent as a reinforcement, a fourth of which was commanded by ‘Ubaadah. Umm Haram accompanied her husband in this battle. The chivalrous ‘Ubaadah was put to a meritorious test in the land of Egypt, strategically moving about, fighting in the way of Allah until the Romans were defeated and driven out. After the victory ‘Ubaadah went to Damascus, which is situated in Syria and began living there. Mu’aawiyah ibn Abi Sufiyan (may Allah be pleased with him) was then its governor. He became worried about the bays of Damascus which were being intermittently attacked by the Roman army. Mu’aawiyyah knew that the Cyprus Island was the marine station for Roman ships which were attacking Syrian harbours. He sent a message to the Caliph ‘Umar explaining the situation to him and asking permission to invade Cyprus and conquer it. ‘Umar refused the request, for he opposed jeopardizing the lives of Muslims, who may have to plunge into the sea. Then when ‘Uthmaan became caliph, Mu’aawiyyah repeatedly make the same request. Mu’aawiyyah was encouraged in doing so by his blood relationship with ‘Uthmaan, for both of them were from the Umayyad clan. Finally, ‘Uthmaan gave in to Mu’awiyyah’s persistent requests and permitted him to launch the offensive. But he warned him that he should not force any Muslims under his control to participate in the war, rather the participation must be optional. With the help of experts, Mu’aawiyyah began getting the necessary ships ready for the war until he had amassed a large army. He then called out to the people and made an announcement, as a way of encouraging the people, that both he and his wife were going to lead the marine campaign to Cyprus. In those days Damascus, the headquarters of the Syrian governorate was full of different civilizations and cultures. It was hugely populated by people, especially the Prophet’s companions. These companions didn’t seek luxury or enjoyment but only knowledge and guidance. They were only interested in spreading the teachings of the Book of Allah and the Sunnah of His Messenger (peace be upon him). Some of these eminent companions were Aboo Dharr, ‘Ubaadah ibn as-Saamit (the husband of Umm Haram), as well as others. Hardly had the announcer of the governor announced Hayya ‘ala al-Jihaad (come unto Jihad!) that the Muslims started jamming into the ships, glorifying Allah and proclaiming His oneness, hoping for His reward and not fearing anything other than Him. The peerless Companions of the Messenger of Allah left their places in the Masjid, bade farewell to their homes and joined the flag of Islaam. Throughout the journey Umm Haram was full of energy, ambition and youthfulness. She was excited and overjoyed to be able to join this great battle. Before leaveing, she busied herself getting the necessary things ready. She remembered the face of the Messenger of Allah (peace be upon him) smiling, gladdening her and supplicating for her to be one of the first to mount the green sea to fight in the cause of Allah. On the appointed day she saw people gathering like sea waves at the seaport, bidding farewell to the Mujaahidoon and waving at them. They were invoking Allah to make them victorious and to return them home safe and sound. Mu’aawiyyah Ibn Abi Sufiyan (may Allah be pleased with him) then commanded the army to sail on. The ships were detached from the anchors and sailed through the waves in the Name of Allah. The Sahaabah were like kings over their thrones! It was just how the Messenger of Allah had described, those who would board ships and with whom the ships would storm the waves while they would be aboard like kings over their thrones! O Messenger! May the please and blessing of Allah be upon you! You did not see what you prophesied with your eyes, neither did you study it from a book; you did not receive the knowledge of it from a scholar or a teacher! Glorified be He who taught you the knowledge of the earlier and later generations! Glory be to the One who made you say the truth! The ship finally arrived at the Cyprus coasts. The soldiers surged out, unloaded their luggage and prepared themselves for Jihaad, after already having defeated a Roman guard-boat which had tried to impede their way. The Muslims then began planning how to creep into the heart of the Island. Umm Haram had lead a momentous life in Madeenah and different parts of the world, such as Hijaaz, Syria, Palestine, Egypt and then back to Syria and lastly in Cyprus. It was a life full of thrilling events, an extensive life full of long journeys. It all started with a testimony that none has the right to be worshiped except Allah and that Muhammad (peace be upon him) is the Messenger of Allah and ended with martyrdom in the path of Allah! Yes, It was a life that began with the Shahaadah (Testimony of Faith) and ended with Shahaadah (Martyrdom). What a beautiful life and what an excellent death!! While in Cyprus, Umm Haram was riding on an animal. The horse shied, was extremely frightened and then jumped violently. Umm Haram fell off of it and died shortly thereafter smiling and was buried where she fell. May Allah be pleased with her and please her! Today, centuries after this memorable event, the grave of Umm Haram, the righteous and martyred Muslim woman, still stands in the land of Cyprus for all to see. There is a Masjid nearby testifying that Umm Haram was really one of the first (i.e. 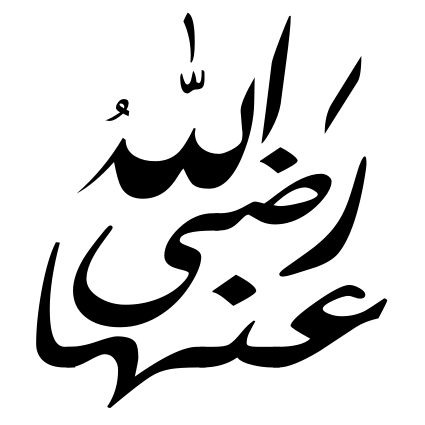 to die there) and that indeed the Messenger of Allah (may the peace and blessing of Allah be upon him) said the truth!